All Wilson Safe Trays are stackable. This stackable feature reduces the amount of room required on stock shelves, whilst allowing for ease of transport and less damage. 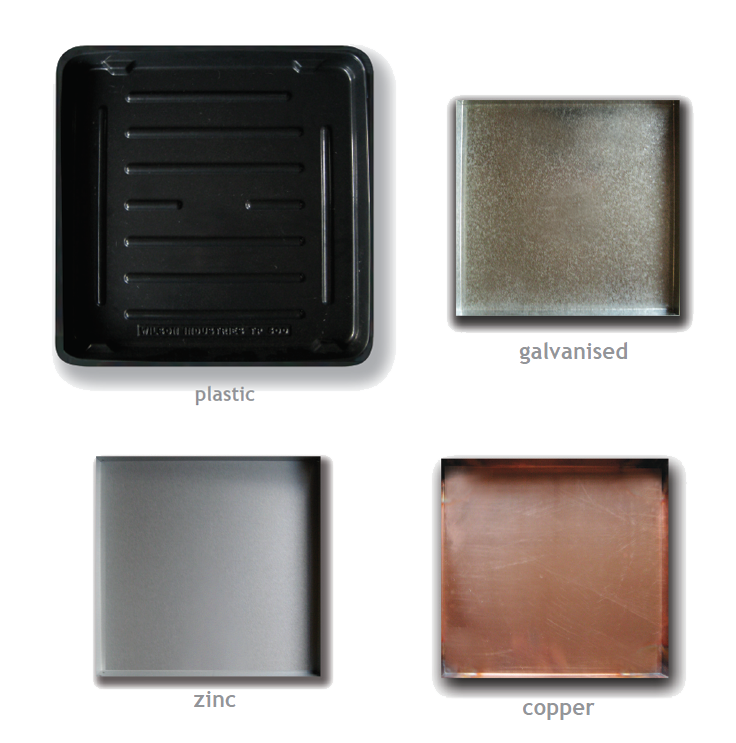 The Wilson trays are manufactured in four materials; Galvanised, Zinc, Copper and Plastic. The trays are manufactured in a wide range of sizes that cover most requirements. Other sizes can be custom made to client specifications.